The council discussed the Lick Creek Park Nature Center Advisory Committee‘s recommendation for the Lick Creek Nature Center, which includes a main building, a small storage and maintenance building and an outdoor classroom. The main building includes restrooms, offices, storage, a display area, workroom, information station and a meeting room. About $2.5 million is budgeted for the project in the Parks Capital Improvement Project Fund. The nature center was approved by voters as part of the 2008 bond election. The council voted 4-2 against a motion to give the Springbrook Homeowners Association Board until Sept. 21 to decide if it wants to propose a nature trail or footpath along Lick Creek. In August, the council approved an on-street option for the Lick Creek Greenway Trail that will run through the area, and asked staff to explore the possibility of building the nature trail. The workshop has gone into recess. The council has gone into executive session. The workshop will resume at 6 p.m. The council has come out of executive session and has resumed the workshop. 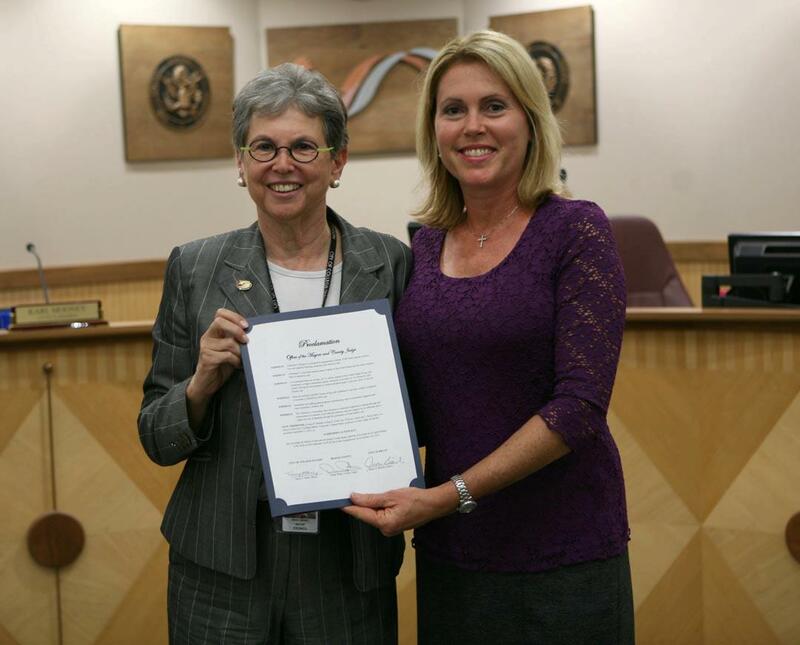 Mayor Nancy Berry proclaimed Sept. 21 as Alzheimer’s Action Day in College Station. Amie Brauer received the proclamation, which encourages residents to participate in the Walk to End Alzheimer’s event on Nov. 3 at Wolf Pen Creek Amphitheater. The council discussed the Hotel Occupancy Tax Fund grant application policy, which is on the consent agenda in the regular meeting. The council discussed the proposed FY13 city budget, which it will vote to adopt during the regular meeting. Revisions during the budget process have added $274,205, bringing the total budget to $253.4 million. Three people spoke during hear visitors. Polling places for Precincts 24, 53 and 58 for the Nov. 6 Special Election. A Notice of Special Election for Nov. 6. Cancellation of the Nov. 6 General Election since both city council candidates are unopposed. A letter agreement for the fourth year of a professional auditing services engagement for $91,000 with Ingram, Wallis & Co., P.c. for the fiscal year ending Sept. 30. A contract for $87,329.67 with Siemens Industry, Inc. for the installation of security cameras in the Northgate Parking Garage. A contract for $59,627.00 with Shelby Building Maintenance & Janitorial, Inc., for cleaning services in Northgate and the Chimney HillShopping Center. A contract for $141,334 with Shelby Building Maintenance & Janitorial, Inc., for annual janitorial maintenance services in city buildings. A contract for $47,870 with Interra Hydro Incorporated for a Bee Creek sewer trunk line study. A Memorandum of Understanding (MOU) with the Texas A&M Department of Psychology to provide psychological evaluations on potential Police Department employees. The FY13 BVSWMA, Inc., budget. A contract for $57,931 with JNA Painting & Contracting Company Inc. for various interior and exterior painting of city buildings. A contract for $152,361 with Palomares Construction Company for the Lincoln Avenue Sidewalk Project. Renewal of an annual price agreement not to exceed $428,697.14 with Ergon Asphalt & Emulsions to provide asphalt products for the maintenance of streets. The Southside Area Neighborhood Plan. A Hotel Occupancy Tax Fund Event Grant application policy. By a 5-1 vote, the council adopted the $253.4 million FY13 budget, which focuses on providing efficient core services with an emphasis on public safety and infrastructure. Councilmember Jess Fields voted against the motion. The budget includes no utility rate increases, with the exception of a 5 percent increases in wastewater rates. About $7.4 million has been trimmed from the city’s operations and maintenance budget in the last five years, and 53.75 full-time equivalent staff positions have been eliminated. At the same time, the city has added 43 public safety-related positions. The capital improvements budget includes major projects for streets and transportation, utilities, technology, and parks and recreation. The budget also reduces the transfer from the electric fund to the city’s general fund by $1 million after a $2 million reduction last year. The purpose of the reduction is to ensure that the transfer does not create a burden on the electric utility and electric rates. The council unanimously adopted the effective property tax rate of 43.0687 cents per $100 of assessed valuation, the city’s lowest rate in 12 years. The effective tax rate is the rate needed to generate about the same revenues on the same properties as the previous year. Last year’s rate of 43.7995 was the fifth lowest in Texas among cities with populations between 75,000 and 125,000 people. The city’s property tax rate has fallen by 1.6856 cents in the last two years. By a 5-1 vote, the council approved a 5 percent increase in wastewater rates for FY13. Councilmember Jess Fields voted against the motion. The average single-family home customer will see an increase of $1.61 in the monthly bill for wastewater services. Apartment dwellers will see an increase of either $0.75 or $1.19 per month, depending on whether their unit has a kitchen. The rate increase is required to meet the increased demands on the wastewater collection system. The new rates are expected to generate about $12.7 million. The council unanimously approved a reduction in the updated Service Credit calculation from 100 percent to 75 percent for current employees, and reduced the Cost of Living Adjustment calculation for retirees from 70 percent to 50 percent of the Consumer Price Index. The city’s retirement plan through the Texas Municipal Retirement Agency (TMRS) is an important benefit that the city offers to recruit, attract and retain good employees.These changes will not affect the core components of the retirement plan which include the 7 percent employee contribution and the 2-to-1 match from the city and allow the city to continue to have a competitive benefit package. These changes will ensure the retirement plan remains strong but will save more than $1 million. The council unanimously approved the reappointment of Steve Aldrich to the Executive Committee of the Board of Directors of the Bryan-College Station Convention and Visitors Bureau. The meeting was adjourned. The council meets again Sept. 27. This entry was posted on September 13, 2012 by City of College Station. It was filed under City Council, Public Communications and was tagged with budget, Conference Center, Council Meetings, elections, Lick Creek Greenways Trail, Lick Creek Park Nature Center, Parks and Recreation, planning, projects, Wastewater.